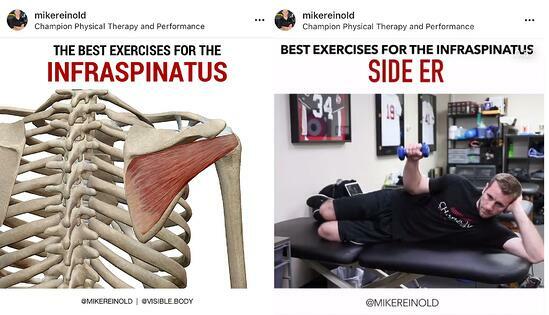 Mike Reinold, DPT, ATC, CSCS has been using Visible Body products on his social media pages for some time now. 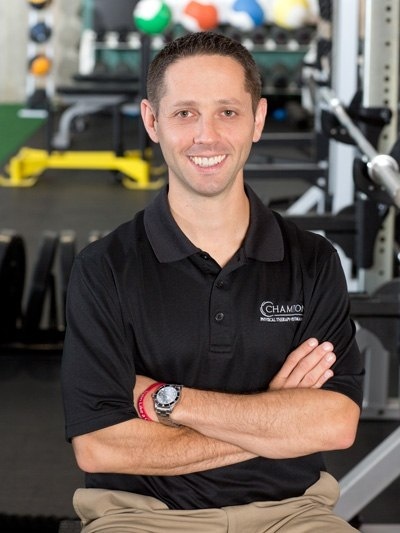 He's a physical therapist, strength coach, performance specialist, and the owner of Champion Physical Therapy and Performance in Boston, MA. We reached out to him in order to learn more about how he's using our products and why he loves them so much. Mike, you have just recently celebrated your website’s 10th anniversary. Congratulations! That’s an amazing accomplishment! Can you tell us what your goals are as a brand and as an individual, going forward? Have they always been the same, or have they changed over the years as you and your company have grown? Thanks! My goals have always been simple. I actually started my website for ME! What I mean by that is that I started it as a way to push myself to stay fresh, stay current with the literature, and keep pushing myself to always learn and grow. The website allows me to do this, and share with my readers as I go along! You use your website and various social media to interact and engage with your consumers and followers, responding to comments and continuously putting out content. What do you want for your customers? There is an amazing amount of information available to us these days, some good, some bad. In reality, there is a lot of noise and many people find it difficult to know who is authentic. I want my readers to feel like they are joining a like-minded community of people that want to all grow together. We’ve been working with you for some time now. Can you tell us which Visible Body products you use and why you like them so much? I'm a big fan of the Visible Body apps. I mostly use the iOS apps so I can easily pull up the Atlas or Muscles app and show some of the anatomy to my patients in person. They are super easy to use. While many of our users are healthcare students, a large majority of our audience are clinicians and physicians. What do you think are the benefits of using Visible Body for patient education? The ability to scroll around and get a 3D view of the body is pretty impressive. Many people don't click well when it's just a two-dimensional picture from the internet. But being able to see the complete body, different layers of tissue, and how that is impacted from different angles is super helpful. When my patients understand what's going on more, we tend to be more productive in the long run. A special thanks to Mike Reinold for taking some time to chat with us! 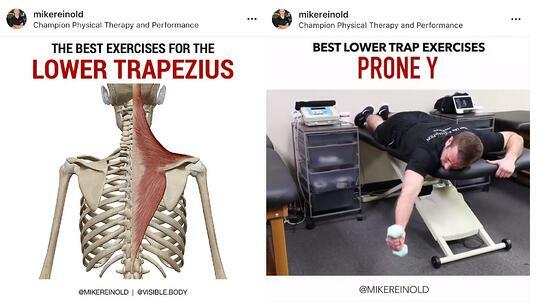 Check out his Instagram @MikeReinold for fitness tips, personal training info, and all things physical therapy. 3D education tools and course solutions are revolutionizing the way instructors teach and students learn. We worked with a panel of instructors to create Courseware, a web-based teaching and learning platform loaded with Visible Body's award-winning 3D content. You can use Courseware to custom design visual and interactive courses or use any of the instructor-made courses and labs. Contact our Education Team to learn more or get a free instructor trial!